2:1/2:1/2 Makers Mark:Sweet Vermouth ry Vermouth (both Martini & Rossi with a one-off Bitters from “The Smith” Restaurant in Manhattan and a Woodford Reserve Black Cherry. Anyone else a Usquaebach fan? This was the third bottle of blended white bottle we drank over the last year, and was and surprisingly this bottle disappointed. I didn’t pay attention to previous bottle years but the first two bottles drank the same, while this one had a slightly off smokey taste that lingered on the tongue kinda funny. The cask strength was very smooth but def needed a good amount of water to bring down the alcohol level to be drinkable. A nice single glass/tasting after other Scotches, but too strong to sip all night. Still, nice addition to your liquor shelf. Old Fashioned w/Old Forester 1910. SF Cremona M’s, MC452, C2300, MCD1100, MT2 w/Hana SL, HRS, Bel Canto e.One Stream, Schiit Yggy, BIT20, WireWorld Silver 7's. "ROZELIEURES", single malt peated french whisky from Rozélieures, Lorraine, water coming from Vosges. Excellent Islay Island Scotch. Brandy Glass and sip. I will have a Domaine Gobelsburg kamptal Riesling enjoyed in either a Zalto Universal or Zalto White wine glass , depending on which fare the best. Need to bring this back to wines. The Quilceda Creek 2016 CVR is arguably one of the best mid-priced Washington wines. 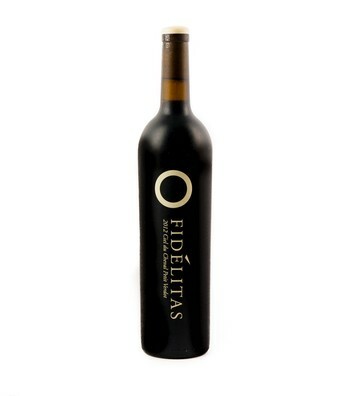 Fidelitas Purple Cab is Charlie Hoppes Private Label Cab for Purple Cafe. As with all Charlie Hoppes wines, Red Mountain based and a blend of vineyards. Both of these wines though completely different from one another are magic. Special thanks to JJinID for starting me down the Washington wine rabbit hole so many years ago.